an era of Heliopolis that has all but disappeared. expensive imported liqueurs, including Chivas for a whopping 1350LE. baked to crispy perfection, it’s basically a far less greasy hawawshi. have used more curry and a pinch of pepper. serious backgammon player, this is where you belong. There’s live music upstairs everyday for those who enjoy women in evening gowns singing Celine Dion or oriental classics. The restaurant has a great oriental live band play on weekends during the month of Ramadan. 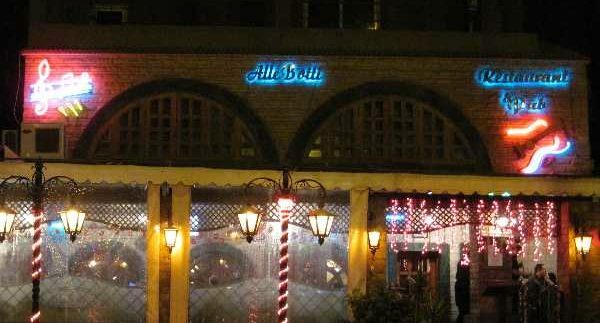 Alle Botti guarantees a great place to drink, smoke and be merry. It can get quite smoky with all of the shishas in a semi-enclosed patio space.